Sweat the onions and garlic in the butter until soft but not coloured. Meanwhile mix the eggs, mascapone and cream in a large bowl. Once soft, add the onions to the egg mix together with all the other ingredients except the pinenuts, season to taste and give it a good old mix. Pour into lined roasting tins, sprinkle the pinenuts on top and bake for about 20 minutes at 175 degrees or until set in the middle and springy to touch. Serve to the masses hot or cold and sliced into wedges. I use this recipe for my ratios of sugar to cream. However, I replace half the lemon juice with clementine juice and as much clementine zest as I can lay my hands on. You need some lemon in there to help the mix set, but the festive tang of clementine will still come through. This was passed on to me from a Skye Gyngell recipe. Inevitably, I’ve added more booze to it. Cream together then butter and the sugar in a mixer. Add the egg, cognac and vanilla and beat again until well combined. Tip in the flour, walnuts and cranberries and mix in gently. Spoon the mix into your cooked pastry case and bake for 30 minutes at 180 degrees. And it was all delicious! 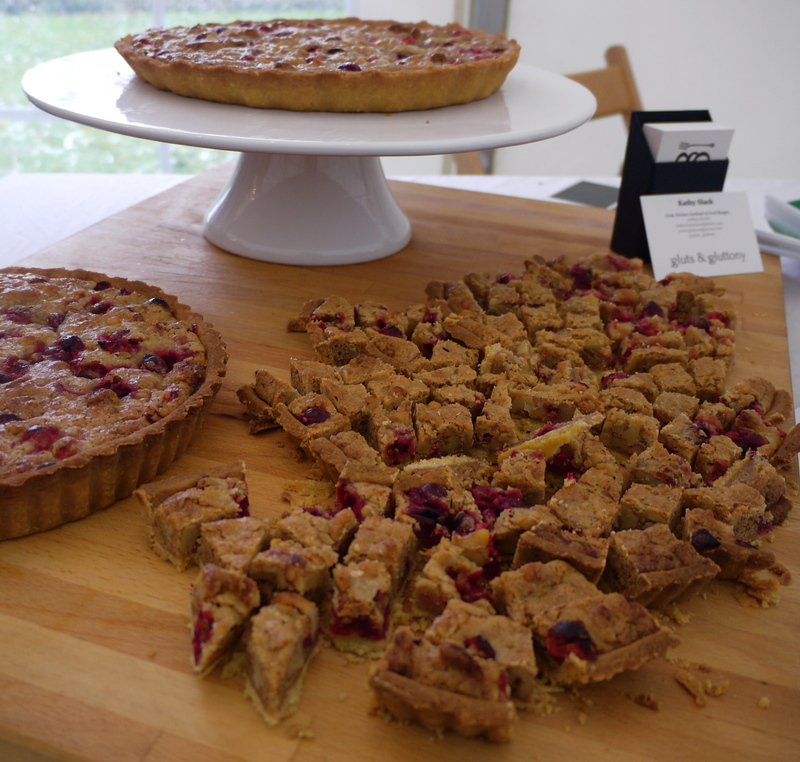 Loved the frittata and the walnut and cranberry tart was divine. 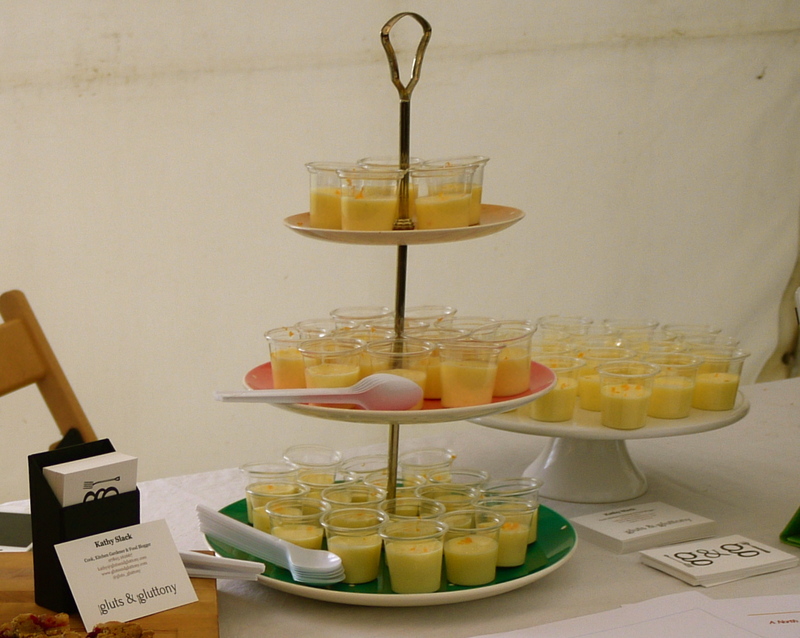 Only sorry I didn’t try the posset. Thanks Sarah. I was very chuffed when people came back a second time! 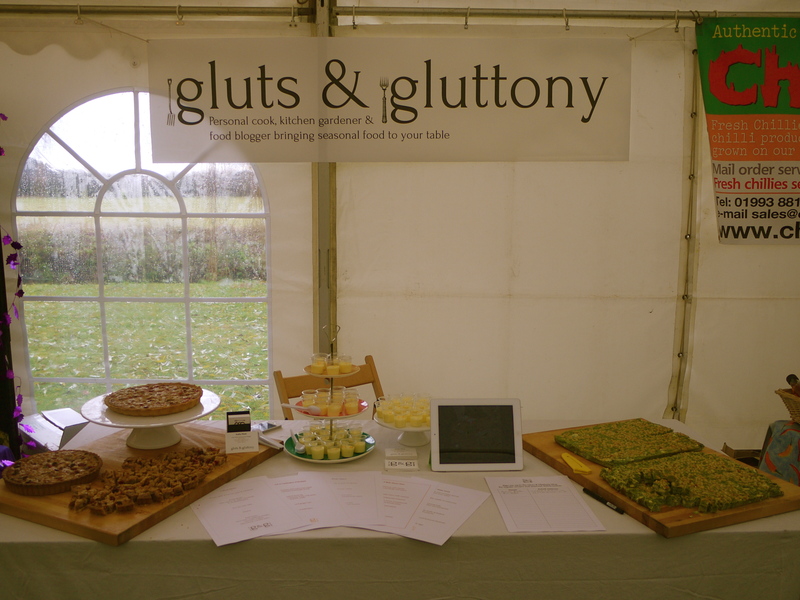 We were lucky enough to be selling our olive oil opposite you at the Cotswold Table. 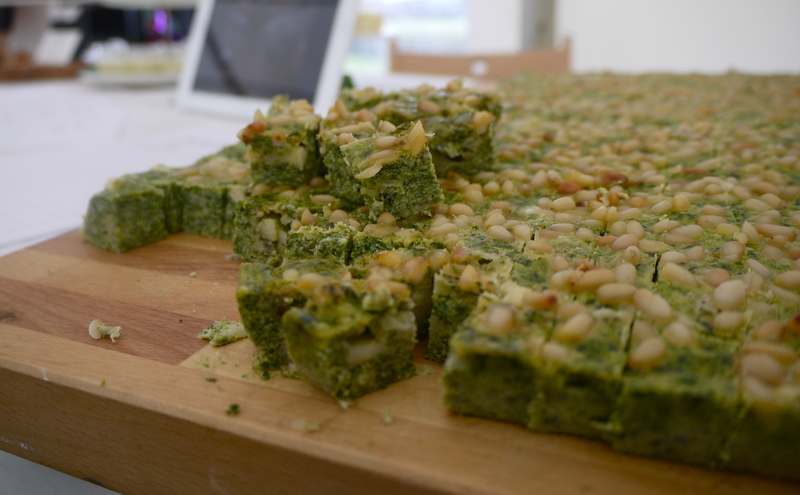 I kept coming back to sample more of the spinach frittata and thanks to your generously sharing the recipe have just made a batch myself – delicious – especially as I am addicted to spinach! How kind of you to say so. I’m glad you liked the recipe. My other half got some of your gorgeous olive oil in his stocking so I’m looking forward to trying it again. Thanks for the message and keep in touch!